Your business has reached the point where it’s time to reach out and touch people on a grander scale. You’re ripe to get the word out about your offerings, as well as take steps to expand your internet footprint. These days, this means pulling together social media, SEO and marketing efforts in order to garner as much cloud clout as possible. All these avenues of marketing require one thing: A blog. Most successful blogs are written on a consistent basis – be it weekly, biweekly, or monthly. For each blog post, you need to churn out an average of 500 words of content that attracts “likes” and shares, strategically uses keywords to drive search engine traffic to your site, and suitably represents your organization to its target audiences. So the big question is: What to write about? If a small business owner enjoys writing, or has a lot of time on her hands, she may choose to write her own blog posts. Under many circumstances, including lack of time, skill or interest, the small business owner does not write her own blogs, but rather hires a writer. The writer’s position title might be any of the following: Content writer, blog writer, blogger, ghost writer, or ghost blogger. A Virtual Assistant can fill a range of blogging roles from content strategist to blog post writer. If you are considering hiring a writer, start by asking to see her writing samples to get an idea of her versatility with topics and voice, and go from there. How do you (or you along with your writer) generate blog post ideas, week in and week out? What questions do my customers have? What problems can I solve for my customers? What related topics are my customers interested in? How can I tie in the upcoming holiday/season/event with a topic of interest to my customers? Did any recent news item affect my customers, and if so, how? If you are working with a blog writer, she’ll work with you on this process – listening, reading, and talking out ideas with you. For some business owners, this could take the form of a weekly phone call to flesh out potential topics. Your writer may often suggest her own ideas for the month, taking the need for brainstorming off your busy plate. Or, you might prefer to send your blog writer an email with ideas, and possibly instructions as well. Together you will find the right teamwork flow for your blogger’s writing to be as successful as possible. The important thing is starting – and following through consistently. 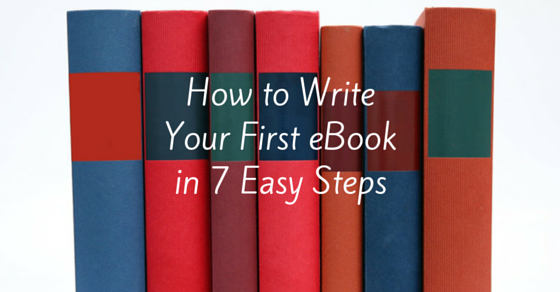 Select a writer (either yourself or someone else), and start producing. Once you get into a rhythm, you will likely enjoy the relationship you’re creating with your readers (and your writing staff). You’ll be getting your message out via writing in a way that is interesting, informative, and provides help for each individual reader. Ever been to Disney World’s Haunted Mansion where you look in the mirror and see a ghost SITTING RIGHT NEXT TO YOU? Or, during the Halloween period, are you plagued by all those images of white-sheeted characters flying through the air, with only those black beady eyes peeking out from the front of their heads? Scary stuff. Rest assured that hiring ghost writers for your website content or blog need not be a scary affair. These “ghost” writers are different. They could be dressed in white sheets with black eyes peering out, zipping around screaming “boo” for all you care. Because they get your writing jobs done, efficiently and professionally, in your voice, with your byline. It’s your own live ghost, and a friendly one at that. Ghost writers abound, penning autobiographies, research papers, speeches, press releases, and blogs. And with strong web content, a requirement for any company (thanks, Google! ), ghost writers nowadays are par for the course. In fact, ghost writing is one of the top outsourcing needs for any business. Some businesses are hesitant to use ghost writers because they are scared on the legal front – how can they put their byline on something they didn’t actually write? Here again though, ghost writers aren’t scary, but rather are considered ethical and legal since they write from the perspective of the voice they represent. 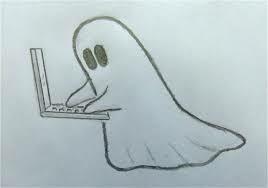 Ghost writers are instructed with specific content, ideas, styles and keywords to use in their writing. Everyone knows politicians have speech writers, right? Same idea. Ghost writers can work directly for companies, freelance independently, or, often, ghost write as part of a Virtual Assistant package. In addition to “ghost writer”, there are equivalent job titles including: Content writer, online writer, blog writer, blogger, ghost blogger, copywriter or marketing writer. Often it’s best to hire a ghost writer via a reputable agency – many freelance writers are known for falling off the face of the earth, leaving you without the written content you needed just that day. An established agency, on the other hand, has successfully vetted for work ethic and talent, and has stand-in writers just in case. The “interview” for an outsourced ghost writer is a content review first, and a phone meeting later. Start by reviewing her writing samples. A good sign is a writer with a (positive) multiple personality thing going on – she can write about many fields, using different personas, each suited to the client. For example, an established ghost writer might have written articles for a security firm, a nursing home, a teenage girls’ psychologist, and a museum, all in a week’s work. Not to mention, web content ghost writers are usually integrating the client’s preferred keywords for SEO purposes. If the writing candidate seems on the mark for you, then schedule a phone interview. There is no need to actually meet this person face-to-face. Via phone, you’ll get a feel for the person doing the writing, instilling trust for a potential working relationship. In addition, it will help her get a feel for who you are (your personality, cadence, humor, intonations, general style), which, in turn, influences her writing more accurately. Tell me what you like about writing. Does your price include a set number of revisions? Give me an example of a writing client who was challenging and what you did about it. What information do you need from me (client) in order to produce quality content? Tell me how you compose articles for best SEO practices. Can you advise me on which keywords to utilize for my target market? How do you organize your time in order to complete writing tasks by deadline? Even if the writer doesn’t have experience writing the specific type of content you need, she may well be up for the challenge. 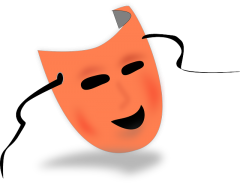 For many ghost writers, each new angle provides the opportunity to be a veritable actor in print, each submission the chance to step into a persona, crafting sentences to best entice the target audience and effectively convey the client’s message. Get a sense about what she likes to write, and why she likes to write. If you’d like to move forward after the interview, try out the writer with a test assignment, and then take it from there. The test assignment (do expect to pay for it, however) will give you a sense of how long she takes to produce content and how close she might be to the message and brand you want to portray. By now it’s passé to say “content is king”, but one thing’s for certain – you need excellent content for your website because Google’s algorithms get better and better at recognizing the real thing. By outsourcing your content to a trusted ghost writer, you are freed up to better grow your business, making your daily schedule all the less scary. Related Tip: Google now gives more search results weight to bylines which are linked to a Google Plus account. I often get asked what it means to “ghost-blog” for a client and I think the whole idea may be getting a bad rap. People want to know how they could ethically lay claim to a blog post when they didn’t actually write it, and it wasn’t their words on the proverbial page. That’s where they’re wrong. A good ghostblogger creates content with other people’s words. 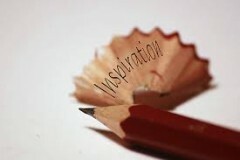 They write not for their own purposes, but to help achieve someone else’s goal. Aside from the obvious writing skills required, the most important thing a ghostblogger needs is the ability to adopt someone else’s voice. When it comes to hiring a Virtual Assistant, business owners are often led to believe that anyone providing virtual office support is, by nature, relatively low cost and therefore unskilled. FALSE! Popular advice on “managing” your Virtual Assistant suggests that the hiring process hinges largely on luck, and on the client carefully testing a series of VAs until finding the rare one who can follow directions well enough, and who won’t flake out or disappear halfway through her first or second assignment. Again, FALSE! Contrary to the stereotype, the truth is that there are highly skilled, well-educated, and meaningfully experienced professionals working as VAs today. It’s up to you to find the one with precisely the skillset needed to benefit your business. If you’ve been thinking about starting a blog, or punching up your marketing materials, then an online Virtual Assistant could be the ghostblogger you didn’t know you needed. In searching for the right Virtual Assistant, be sure to specify that you need someone with exceptional writing skills. Request writing samples and links to websites to which the candidate has contributed. The more clear you can be about what services you’ll need, the easier it will be to find the right fit. Companies who boast that their VAs can “do anything and everything” aren’t doing you any favors. You don’t need everything; you need specific assignments managed expertly and professionally. And don’t be fooled by websites who bring you impossibly cheap service providers. Quality service is never available at bargain basement prices, and finding that out for yourself will only cost you time and money. Virtual Assistants who specialize in ghostblogging will usually have writing skills that can serve you in other areas of your business, as well. The audience for your message changes from online to print to internal documents, but whether she’s writing a blog, an employee manual, or your marketing materials, the voice and the brand that represents your business will remain consistent, and it should be exactly the voice you’ve got in mind. Your voice. The right VA will filter all necessary content through the language of your business to create unique, consistent messaging intended to strengthen your brand. The truth is that majority of smart, successful business owners and executives aren’t so skilled when it comes to writing. And why should they be? A writer wouldn’t be good at doing your job…why would you be an expert in hers? When you find the right Virtual Assistant with the writing chops you need, the key to getting your blog up and running is ample communication. To write “as you,” your VA will need to understand your style in conversation, writing, business correspondence, social media…all of it! Ghostwriting isn’t impersonation, it’s understanding what the client wants to say and – equally as important – knowing how you would say it, if you were to put your own ideas into writing. Don’t expect it to happen overnight. If you’ve effectively shared with her your vision and your message, a well-trained VA with strong writing skills will be able to write for you, as you, in a very short time. You should be able to read their work and feel as if it expresses exactly what you wanted to say, but didn’t know how. With the right VA, you should have a prolific source of company messaging helping you to reach new clients, ultimately growing your business…all thanks to the ghost in the machine.